If you need relief from the blustery cold, a summertime cocktail can transport you to somewhere the sun is shining. 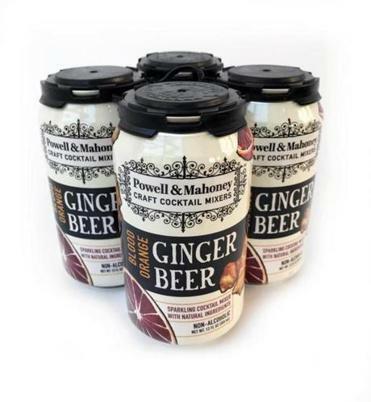 For a pick-me-up, pair Powell & Mahoney’s new Sparkling Blood Orange Ginger Beer with vodka for a rendition of a Moscow Mule. The fizzy companion has zesty tastes of lemongrass and dried ginger root and is a flavor in the Salem company’s new line of cocktail mixers in 8-ounce cans, which also include Ginger Beer and Sparkling Mojito ($5.99 for a 4-pack). The company is known for its quality handcrafted cocktail mixers, made in small steam kettles with natural ingredients and sold in 750 ml bottles. Use the new mixers for mocktails as well. For a wintery mule, add 2 ounces of apple cider and a cinnamon stick. If you don’t have a copper mug, a highball glass will do just fine. Available at select Whole Foods Markets; Kappy’s Fine Wine & Spirits, Crosby’s Marketplace, and Target locations.